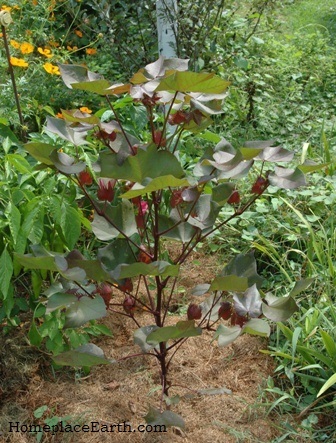 Fall is the best time to plan your garden for the coming year. If you manage cover crops with hand tools, like I do, when you plant them you need to carefully consider what goes in next. With this type of management, tilling them in anytime you choose is not an option. Some cover crops will be in the ground longer than others. That’s why, if you are going to grow cotton and flax in your garden, you need to plan for that now. 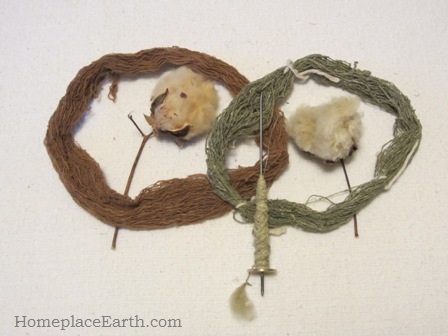 Having a harvest of cotton and flax will open up a whole new world for you of growing your own textiles. 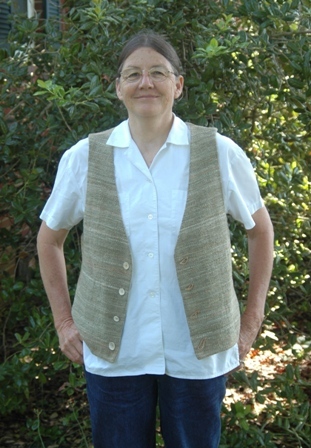 I wrote about cotton when I told you about my homegrown handspun cotton vest. Cotton needs long hot days to mature. Plant it after the last expected spring frost when you put in tomatoes. It will be in the ground until the first fall frost, and maybe a bit beyond, so plan for that, also. The varieties I grow are listed as 120-130 days to maturity, but it seems to take longer than that for the bolls to open. Red Foliated cotton. Fiber is white. I can transplant cotton into a mulch of rye and Austrian winter peas that has been cut when the rye is shedding pollen, which here in zone 7 is the first week in May. Cotton transplants would go in two weeks later, after the rye roots have had a chance to decay somewhat. If I wanted to plant closer to the last frost date, which is about April 25 here, the preceding cover crop would be Austrian winter peas, crimson clover, or hairy vetch. These legumes can easily be pulled out at that time and added to the compost pile. The soil will be ready for the transplants without waiting the two weeks. The pea, clover, and vetch plants could be cut and left in place as mulch; however, it would be a fast-disappearing mulch—much different than the rye mulch. The cotton plant in this photo has a mulch of grass clippings. Flax, on the other hand, needs to be planted early in the season. 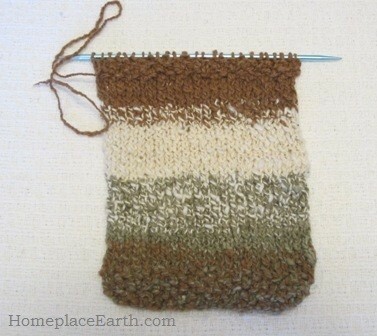 Using Linen: From Flax Seed to Woven Cloth by Linda Heinrich as my reference, the time to plant flax seed is mid-March to early April when the soil is about 43-46°F (6-8°C). Planting in soil that is too cold will set you back. It will mature in about 90-100 days, so be prepared to harvest sometime in June or July, depending on your planting date. As with any early spring crop, to be ready for flax, you would need to have a cover crop there that has winterkilled, such as oats or radish (oilseed or fodder). It is getting late to plant those crops now and have the best benefit. Late August into early September is the optimal time for that. You could plant Austrian winter peas now. Although it won’t have put on too much growth by the time the flax needs to go in, it would have put on some, and the plants could be pulled out for the compost. The easiest cover when anticipating early spring crops is to mulch the bed with leaves. That provides a good habitat for the earthworms over the winter, leaving you with friable soil in the spring. Pull the leaves off the bed about two weeks before the flax will go in to allow the sun to warm up the soil. You will want to plant a variety of flax suitable for fiber production, which is different than varieties best for culinary uses. Flax for fiber is planted at close spacing so the plants grow straight without branching. The plants are pulled (not cut) for harvest before the seeds are mature, so if you want to have a seed harvest for fiber flax, plan for that in another spot. For mature seed the plants would be spaced farther apart to allow branching and the harvest would be about two weeks later than when the fiber harvest occurs. I usually write about food production, but obviously my garden interests have broadened to include fiber. I believe that, just as people are concerned about where their food comes from now, sometime in the not so distant future, they will also be concerned about where their textiles come from. There are some pretty bad things going on within the globalized networks that bring us cheap clothes—way too many cheap clothes. If we want to be free of that, we would need to look for textiles closer to home, grown in a way that everyone and everything benefits—from the soil and the lowest paid worker to the consumer. 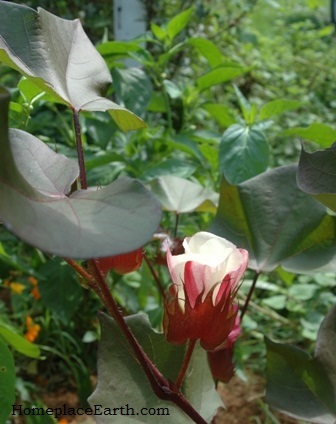 Red Foliated White cotton blossom. I don’t expect that all of you are going to start clothing yourselves from your gardens, but it could be fun to learn about the production of textiles from seed to garment. Just growing a little of it and learning how to process it can start the conversation with others about our present textile industry. 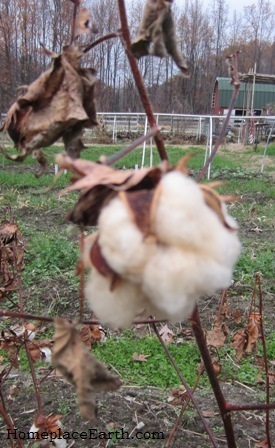 From an historical point of view, growing cotton and flax in school gardens would definitely add to the curriculum. Besides that, it looks so good in the garden. Even if you can’t grow cotton in your area, you can probably grow flax. 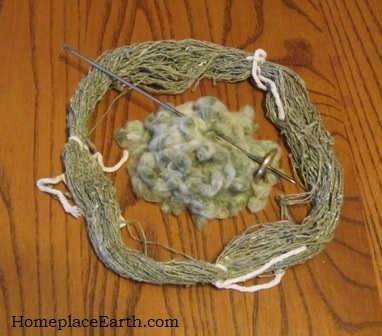 If you don’t grow it, you could buy the fiber and learn to spin it. Of course, that leads to learning to knit or weave it. The opportunity to learn new skills is boundless. Maybe you are not ready for this, but you find it interesting. 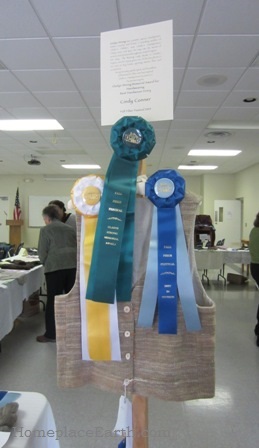 If you don’t have sewing skills yet, you could start your fiber journey there. Learn to sew and you will increase the production of your household. Besides learning to use the fabrics you buy (start inquiring about where they come from), you can bring new life to textiles that are finishing their first life, such as clothes, sheets, and towels, by turning them into something else. Unretted flax from the Heirloom Seed Project at Landis Valley Farm and Museum. Cotton is something I’ve already been growing, but 2016 will be the first year for flax in the garden. I’m not waiting to grow my own to start learning about it, though. 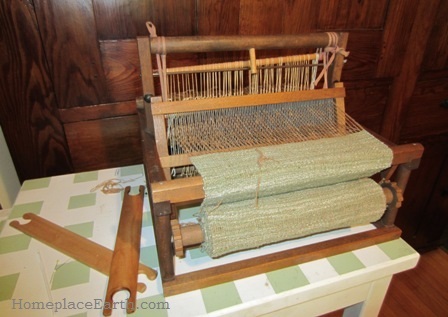 I’ve bought flax fiber to spin into linen thread using a spindle and a spinning wheel. 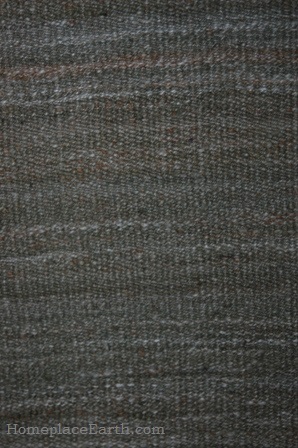 The results will be used for weaving. While we were in Pennsylvania recently we visited the Landis Valley Village and Farm Museum. They grow flax there and have a textile barn dedicated to showing you how it was processed in the past. 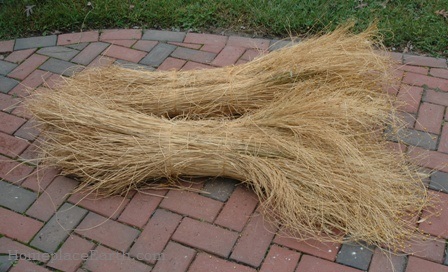 Unretted flax straw is available through their Heirloom Seed Project. I bought some and am learning about that, too. Right now it is laid out in the grass being dew retted. I’ll be writing about that one day. So many fun things to do! 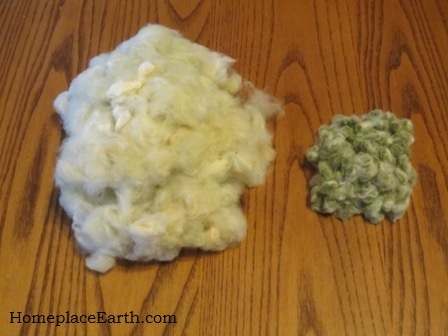 If you want to join me on this fiber journey, plan now to plant cotton and/or flax in your garden for next year.